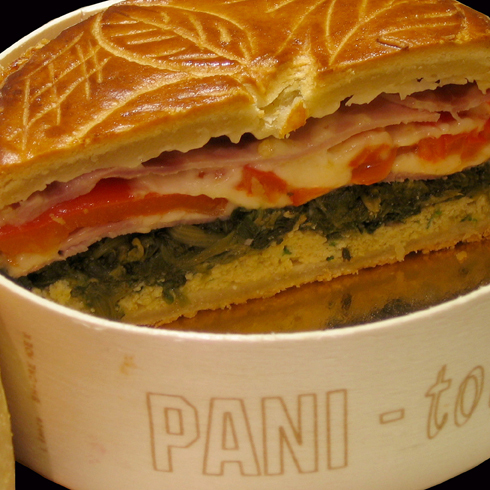 Line a PANI-tourte, 20 cm in diameter and 5 cm high, with short-crust pastry. Add a second layer of ham, then Gruyère, then peppers. Close the pie with a layer of puff pastry and make a chimney. Bake at 200°C for 40 mins.